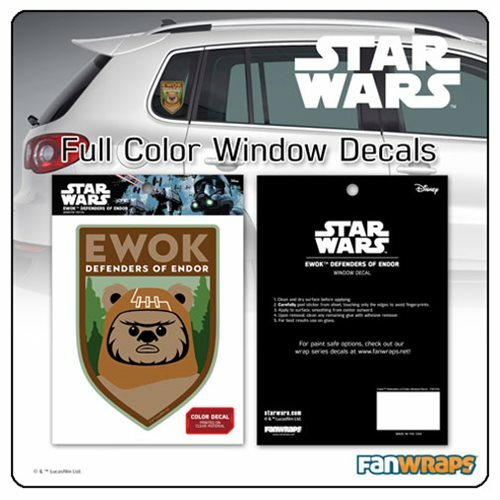 We have Just Sold out of Star Wars Ewok Defenders of Endor Window Decal. Not to Worry! Fill in the Notify me When Available and you will be the first in line for our restock of Star Wars Ewok Defenders of Endor Window Decal !! From the Star Wars collection by Fanwraps. Star Wars Ewok Defenders of Endor Window Decal. Decal measures about 7.5 inches tall by 5.25 inches wide.